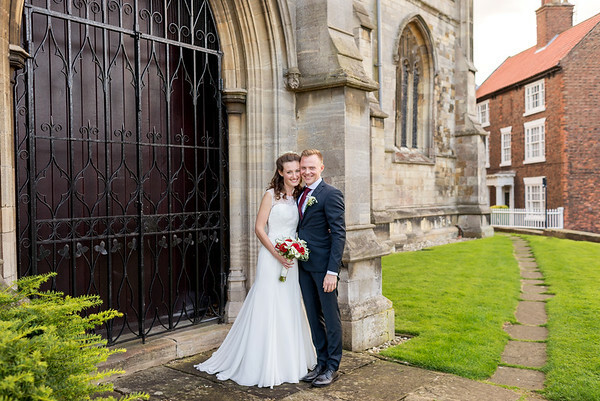 Abbie and Eugen chose to get married at St James' Church in Louth. 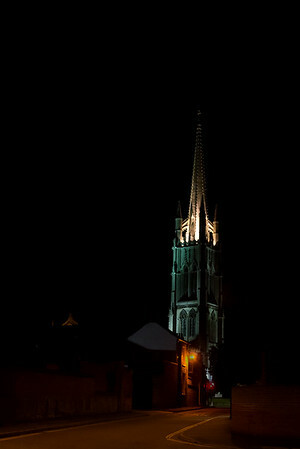 St James' is very impressive both on the inside and outside, its large spire can be seen from miles around the Lincolnshire countryside. 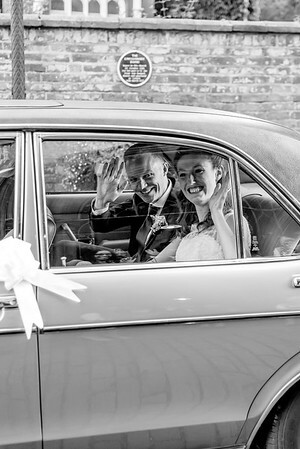 Abbie arrived at the church in a classic car, not your traditional Rolls Royce but a exceptionally well kept Ford Granada. 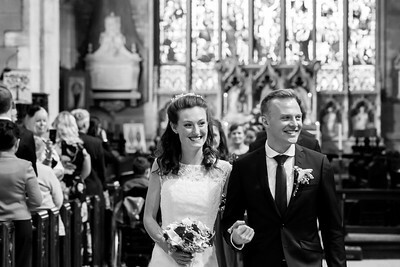 St James' was full of family and friends who had all turned out to celebrate Abbie and Eugen's wedding. 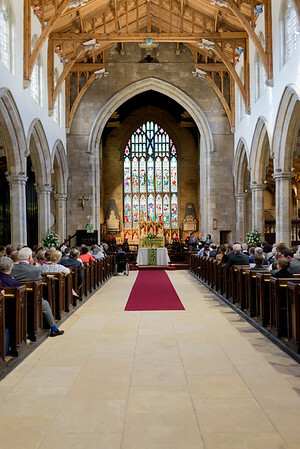 With large stained glass windows and high ceilings St James' is a lovely place to get married. After the ceremony we went out in to the church grounds which are perfect for photographs of the newly weds and formal group photographs, with the church, trees and grassed areas making a perfect back drop. 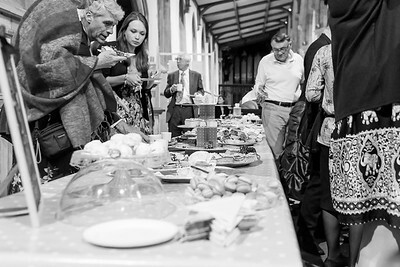 Abbie and Eugen chose to make use of the Under the Spire cafe at St James' and had traditional afternoon tea served to all their guests, making it a little more special for those who were not going on to the wedding reception. 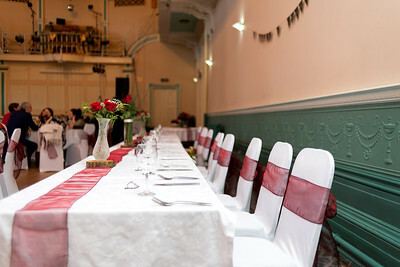 The wedding reception was held at Louth Town Hall in the Ball Room. Impressive high walls and period decor, large windows make the room feel light and airy. 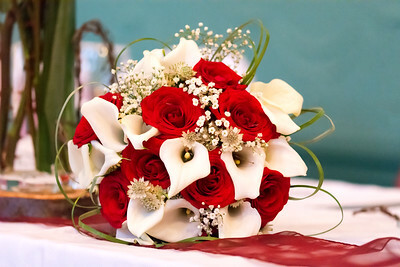 The evening before Abbie and Eugen had been to decorate the Ball Room and tables, adding flowers and their own special touch. 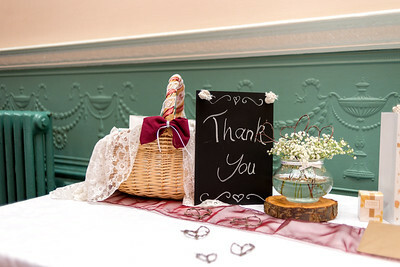 The ball room was set out with a large top table and large tables allowing plenty of seating and room for their guests. 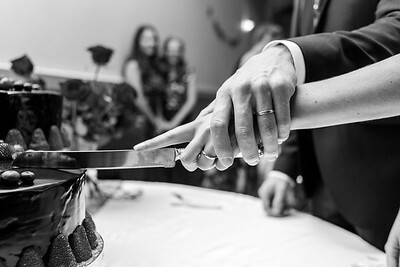 Their is a licence bar so guests can enjoy a drink or more with their meal and celebrate with Abbie and Eugen. Speeches were made by the groom and best man, before the wedding party tucked into their well prepared meal. 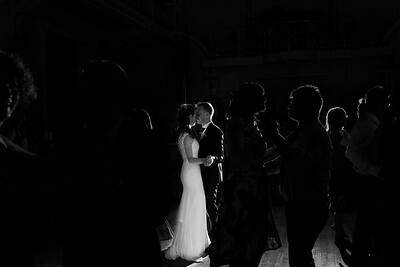 In the evening the tables were cleared to reveal a dance floor. 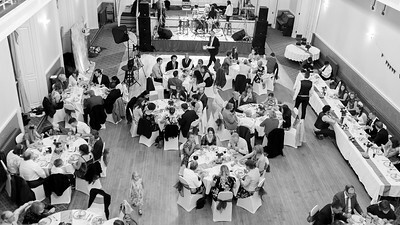 A stage was set at the front of the Ball Room, and Ermine Street a Ceilidh Band set up to provide the evenings entertainment. As the lights dimmed the cake was cut, triple tiered chocolate and strawberry. 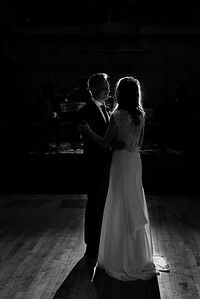 Abbie and Eugen took to the dance floor and had their first dance as a married couple, they were then joined by family and friends to dance the night away.